Carlow County Childcare Committee supports Early Years Services in providing quality childcare. 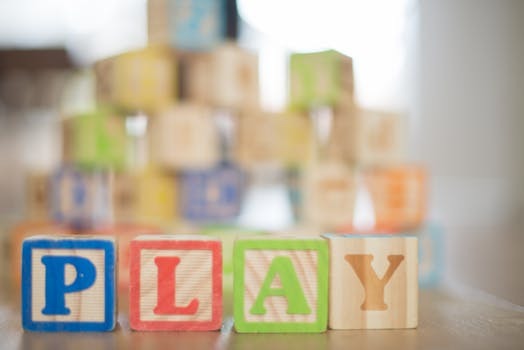 This section of our website includes information on a wide range of topics relevant to those currently operating and/or considering setting up Early Years Childcare Services in the Carlow area. If you are thinking of setting up a Childcare Service, Carlow CCC offers a range of supports, contact Carlow CCC on 059 9140244 and we will arrange a Start Up Meeting for you with one of our Development Officers who will walk you through all your options. It is the duty of every person carrying on a preschool service to take all reasonable measures to safeguard the Health, Safety and Welfare of the children attending the service and to comply with the Child Care Act 1991 (Early Years Services) Regulations 2016 and the Child Care Regulations (The Child Care Act 1991 (Early Years Services)( Amendments) Regulations 2016. Please click here to access the Tusla’s Frequently Asked Questions. The Department of Children and Youth Affairs (DCYA) has responsibility for Regulations and for developing policy in the Early Years sector. Under the Child Care Act 1991 as amended by the Child and Family Agency Act 2013 the Child and Family Agency (Tusla) Early Years Inspectorate is charged with ensuring the health, safety and welfare of pre-school children attending services. Pre-school care providers are required to notify Tusla – the Child and Family Agency that they are providing services. Tusla has published a Quality and Regulatory Framework (QRF), to help childcare services to comply with the Childcare Regulations. The QRF designed around the quality and safety of the care provided to children. The Department of Education’s Early Years Education Focused Inspections(EYEIs) are carried out in early-years services participating in the Early Childhood Care and Education (ECCE) Programme. During these inspections, the inspector evaluates the quality of the nature, range and appropriateness of the early educational experiences for children through observing the processes and practices relating to children’s learning in the early-years setting. We advise services to maintain a compliance folder/file which can be made readily available to the visiting officer on arrival. This will ensure minimum disruption and speed up the compliance visit. We understand that some services file their records in other ways, but records must be available to enable the visiting officer to complete the compliance visit in a reasonable timescale. There should always be a staff member on site with access to the compliance folder/records in the event of an unannounced visit. The Department of Children and Youth Affairs (DCYA) operate a number of Childcare Schemes. These schemes provide free or reduced rate childcare to eligible children and their parents. The link below outlines the Rules for DCYA Funding Programmes. This programme is a universal childcare programme otherwise known as ‘free pre-school’ with the stated objective of providing children with their first formal experience of early learning. It is delivered to children of pre-school age (2 years 8 months to 5 years 6 months) prior to commencing primary school and is provided for 3 hours per day, 5 days per week over 38 weeks per year. There is an ECCE calculator on our home page for your use. Community Childcare Subvention (CCS): This programme provides childcare funding support targeting low income families in community childcare services. Community Childcare Subvention Plus (CCSP): This programme provides childcare funding support targeting low income families in private childcare services and community childcare services. Community Childcare Subvention Universal (CCSU): All families are eligible for financial childcare support for children between the ages of six months and the time at which they are eligible for the free pre-school programme. This subsidy will NOT be means tested and therefore will be available for families at any income level. To qualify the parent must provide both the child and parent PPS number to the childcare provider. Community Childcare Subvention Resettlement (CSSR):This programme provides childcare support to Programme Refugees to support their resettlement and integration into Irish society. 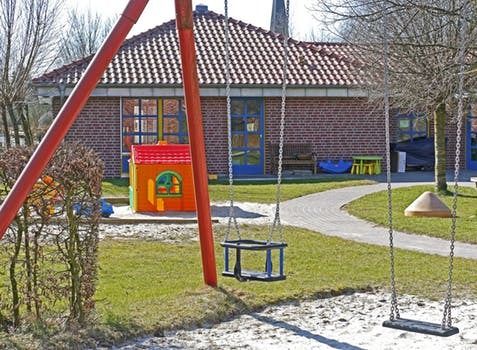 Community Childcare Subvention Resettlement (Transitional) (CSSR(T)): As part of the “Rebuilding Ireland – an Action Plan for Housing and Homelessness” the DCYA has provided access to free childcare for children of families experiencing homelessness. Training and Employment Childcare (TEC) Programmes: These programmes provide childcare funding support for parents participating in eligible ETB/Solas vocational training courses, Community Employment (CE) programmes or returning to employment. On the 11th March 2019, Minister for Children and Youth Affairs, Dr Katherine Zappone, announced the launch of the National Childcare Scheme, the pathway to quality, accessible, affordable Early Learning and Care and School-Age Childcare in Ireland. An overview of the timeline of key events taking place between March and October 2019 will be available on the new website- www.ncs.gov.ie. Recognising the central role of childcare providers, the Minister also announced a once-off Transition Support Payment which will be paid to all providers who participate in the Scheme. The payment acknowledges the work involved in the initial transition period when both the new Scheme and the old legacy programmes will briefly run side by side. In announcing the payment, the Minister also emphasised her gratitude for the dedication and commitment demonstrated by those in the Early Learning and Care and School-Age Childcare sector. Under the National Childcare Scheme, families will be supported to meet the cost of quality childcare through a system of universal and income-related subsides. Additional funding provided under Budget 2019 ensures an even greater number of families will now benefit from the Scheme when it opens. The significant increase in the top net income threshold to €60,000 net income per year means that an estimated 7,500 additional children will benefit from the Scheme, with over 40,000 other children, already eligible, seeing increases to their subsidies. The National Childcare Scheme is paving the way for Ireland’s childcare system to transform from one of the most expensive in the world into one of the very best. The Programmes Implementation Platform (PIP) is an online system which captures information on children under the schemes services provide. Pobal continually update the Frequently asked question section of the PIP website to assist you in your preparations and keep you informed. It is important to check in regularly to keep your service up to date on any new announcement. Contact your local CCC or the PIP Online Support Team (Monday to Friday) at onlinesupport@pobal.ie or phone 01 – 5117222. Please have your DCYA Reference number(s) ready. 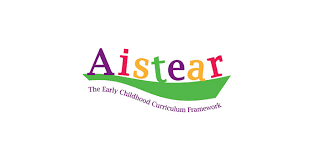 Aistear is the curriculum framework for children from birth to six years in Ireland. 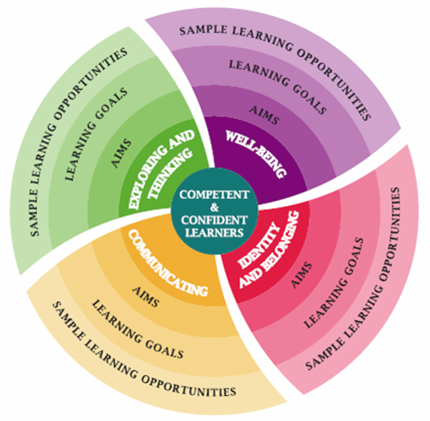 It provides information for adults to help them plan for and provide enjoyable and challenging learning experiences, so that all children can grow and develop as competent and confident learners within loving relationships with others. 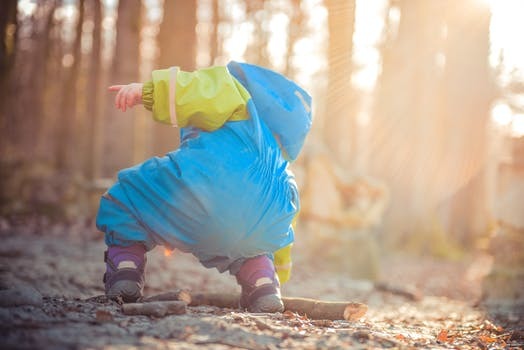 The four main goals of Aistear is to support a child’s sense of Well-being, Identity and belonging, exploring and thinking, communicating. Aistear describes the types of learning (dispositions, values and attitudes, skills, knowledge, and understanding) that are important for children in their early years, and offers ideas and suggestions as to how this learning might be nurtured. 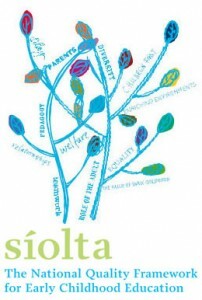 Síolta, the National Quality Framework for Early Childhood Education, was developed by the Centre for Early Childhood Development and Education on behalf of the Department of Education and Skills, published in 2006. Síolta is comprised of three distinct but interrelated elements: Principles, Standards and Components of Quality. The 12 Principles provide the overall vision of the Framework, while the 16 Standards and 75 Components allow for the practical application of this vision across all aspects of ECCE practice. The Components of Quality are further explained by a set of Signposts for Reflection and ‘Think-abouts’ which are intended to support practitioners in early education settings to become aware of and critical of their practice. Síolta is designed to define, assess and support the improvement of quality across all aspects of practice in early childhood care and education (ECCE) settings where children aged birth to six years are present. The Aistear Siolta Practice Guide is a tool used to support practitioners in using Aistear: the Early Childhood Curriculum Framework (2009) and Síolta, The National Quality Framework for Early Childhood Education (2006) together to develop the quality of their curriculum and in doing so, to better support children’s learning and development. The Practice Guide includes a range of resources to help practitioners to critically reflect on their curriculum and to identify what works well. The Access and Inclusion Model (AIM) is a model of supports designed to ensure that children with disabilities can access the Early Childhood Care and Education (ECCE) Programme. Its goal is to empower pre-school providers to deliver an inclusive pre-school experience, ensuring that every eligible child can meaningfully participate in the ECCE Programme and reap the benefits of quality early years care and education. AIM is a child-centred model, involving seven levels of progressive support, moving from the universal to the targeted, based on the needs of the child and the pre-school service. For many children, the universal supports offered under the model will be sufficient. For others, one particular discrete support may be required to enable participation in the ECCE Programme, such as access to a piece of specialised equipment. For a small number, a suite of different services and supports may be necessary. In other words, the model is designed to be responsive to the needs of each individual child in the context of their pre-school setting. It offers tailored, practical supports based on need and does not require a formal diagnosis of disability. AIM Inclusive Play is the latest addition to the suite of AIM Supports. AIM Inclusive Play is a set of resources to support inclusive practice within pre-school settings. These resources, which include equipment, toys and materials, also support the development of coordination and audio, visual and tactile skills among all children, and in particular, children with a disability. All pre-school rooms delivering the ECCE Programme across more than 4,000 pre-school settings nationally have received these resources. The potential uses of the resources are far reaching. Pre-school practitioners are encouraged to engage with and reflect on how these resources can be best used with children in their own setting. The Leadership for INClusion in the Early Years programme, LINC, is a Level 6 Special Purpose Award (Higher Education), that is designed to support the inclusion of children with additional needs in the early years. The course is offered free to people working within early years education and is fully funded by the Department of Children and Youth Affairs. Once qualified, graduates will perform the role of Inclusion Coordinator within their early years setting. The development of the programme is part of a government response to local, national and international demands for high quality education and training leading towards graduate pathways in the combined field of early childhood care and education (ECCE). The programme seeks to address the need for continuing professional development (CPD) in relation to the inclusion of children with additional needs. The application process for students interested in partaking in the LINC Programme for the 2019/2020 is now open. The Child and Family Agency has a primary responsibility to promote the safety and well-being of children. An Garda Síochána also have statutory responsibilities for the safety and welfare of children. Everyone must be alert to the possibility that children with whom they are in contact may be suffering from abuse or neglect. Tusla should always be informed when a person has reasonable grounds for concern that a child may have been, is being or is at risk of being abused or neglected. The Children First Act 2015 was enacted on 19th November 2015 and commenced in full on December 11th 2017. The Act places a number of statutory obligations on specific groups of professionals (including Early Years Services) and on particular organisations providing services to children. The Criminal Justice (Withholding of Information on Offences against Children and Vulnerable Persons) Act, 2012 and the National Vetting Bureau (Children and Vulnerable Persons) Act, 2012 are additional key pieces of complementary legislation designed to improve child safety and protection. All Early Years Services including staff, board members and volunteers should complete Tusla’s Children First e-learning programme. 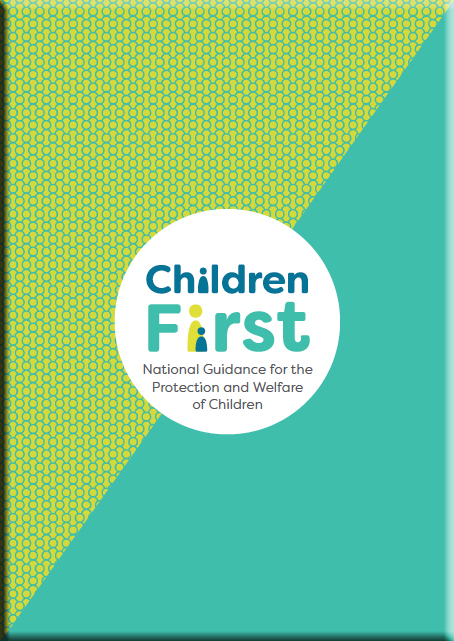 Carlow CCC has responsibility for the delivery of Tusla’s Always Children First Child Protection training for the Early Years sector in Carlow. This training is valid for 3 years. For more information on any of our upcoming Child Protection Training, please see the Training section of our Website or call us on 059-9140244. The Governance Code is a resource to assist community, voluntary and charity (CVC) organisations develop their overall capacity in terms of how they run their organisation. It is a voluntary code provided free to all boards/committees/ executives of not-for-profit groups to encourage them to check themselves against best practice in the management of their affairs. The Code has been put together by people with extensive experience in the CVC sector and it takes account of the different types of organisations which exist in the diverse world of volunteering across the country. Carlow CCC offers supports to services in relation to financial sustainability, please contact one of our Development Officers for more information on 059 9140244. The General Data Protection Regulations (GDPR) came into force on 25 May 2018 and all organisations are responsible for ensuring that they are meeting their obligations under the GDPR. The Department of Children and Youth Affairs (DCYA) is offering complimentary online General Data Protection Regulation Training to all childcare services to support them in meeting their Data Protection obligations. This training is designed and delivered by iHasco and is available at: GDPR online training. Under the Child Care Act 1991 (Early Years Services) Regulation 2016, a new regulatory requirement will come into force from June 1st 2020. From this date, under regulation 25, there must be a person(s) who has trained in FAR (First Aid Response) with a trainer approved by the Pre-Hospital Emergency Care Council (PHECC) immediately available to children attending the service. On completion of this 3-day/18 hour course, the First Aid responder will be equipped with the necessary practical skills, knowledge and confidence to give effective life support, diagnose and treat injuries or illness and maintain care and comfort to a patient who has become suddenly ill or injured in the workplace or elsewhere until the arrival of emergency medical services. • A receipt for the cost of the course. The maximum a service can claim is €225 per full course and €175 per refresher course. Please note that Carlow CCC list of trainer is not exhaustive and you are free to book a course with any PHECC registered FAR training provider locally. This list does not represent a recommendation by Carlow County Childcare Committee, it is for information purposes only. For further information and support, please do not hesitate to contact Carlow CCC by emailing connie@carlowccc.ie or call 059 9140244.